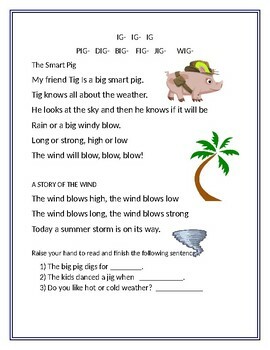 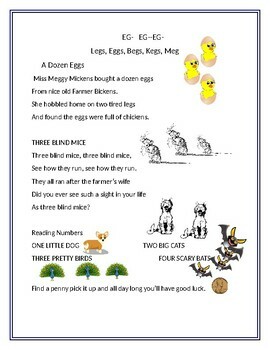 A three-page series of illustrated nursery rhymes, plus rhyming poems with a touch of phonics and more. 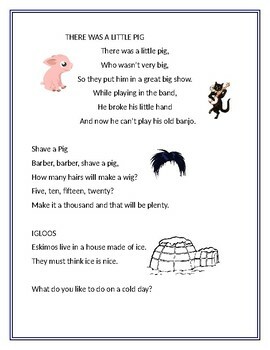 The emphasis is on sounding out words while basically just having fun with poetry. 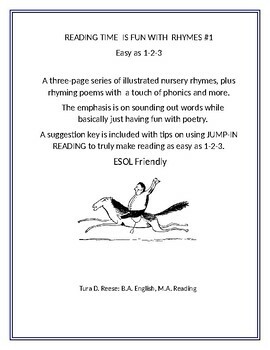 A suggestion key is included with tips on using JUMP-IN READING to truly make reading as easy as 1-2-3.